Often, the government’s efforts to crack down on fraud and abuse entail pursuing companies whose activities could negatively impact the safety and security of citizens and even the environment. This was shown to be the case when this past November, the Justice Department announced that two energy department contractors – Bechtel National Inc., Bechtel Corp., URS Corp. and URS Energy and Construction Inc. – had agreed to pay $125 million to resolve False Claims Act allegations that the companies made false statements and claims to the Department of Energy (DOE) by charging it for deficient nuclear quality materials, services and testing. These charges were alleged to have occurred at its Waste Treatment Plant (WTP) at the DOE’s Hanford Site near Richland, Washington. The settlement also resolves allegations that the companies improperly used federal contract funds to pay for a multi-year lobbying campaign of Congress and other federal officials for continued funding at its WTP. Bechtel Corp. and Bechtel National Inc. are Nevada corporations. URS Corp. is headquartered in California, and URS Energy & Construction Inc. is headquartered in Colorado. “The money allocated by Congress for the Waste Treatment Plant is intended to fund the Department of Energy’s important mission to clean up the contaminated Hanford nuclear site, and this mission is undermined if funds are wasted on goods or services that are not nuclear compliant or to further lobbying activities,” said Principal Deputy Assistant Attorney General Benjamin C. Mizer, head of the Justice Department’s Civil Division. “The environmental clean-up and restoration of the land that comprises the Hanford Nuclear Reservation is one of the single most important projects in this region,” said U.S. Attorney Michael C. Ormsby of the Eastern District of Washington. Between the years 2002 to 2015, DOE paid several billion dollars to the aforementioned companies to design and build the WTP which was intended to be used to treat dangerous radioactive waste at the DOE’s Hanford Site. The government alleged that Bechtel National Inc., Bechtel Corp., URS Corp. and URS Energy and Construction Inc. violated the False Claims Act by charging the government for materials that did not meet the DOE’s standards. The United States also accused Bechtel National Inc. and Bechtel Corp with improperly claiming and receiving government funding that was later used for lobbying activities. This act violates the Byrd Amendment (31 U.S.C. 1352) and other contractual and regulatory requirements all of which prohibit the use of federal funds for lobbying activities. 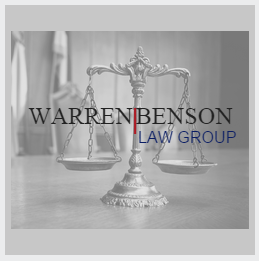 The allegations resolved by this settlement were brought about as the result of a lawsuit that was filed under the qui tam or whistleblower provisions of the False Claims Act. Gary Brunson, Donna Busche and Walter Tamosaitis – all of whom worked at the WTP – were the plaintiffs in the initial lawsuit. The False Claims Act allows private parties to sue on behalf of the United States when they believe that a party has violated the Act. It also allows them to share in any subsequent recovery. Their share of the reward has not yet been determined. If you are privy to False Claims Act violations you should report them to the proper authorities and consult a qui tam attorney. Qui tam attorneys will be able to advise you as to how to proceed. They can also assess the strength and validity of your case.